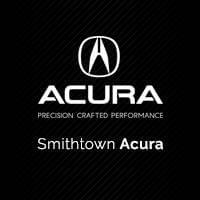 Smithtown Acura is an amazing dealership! I've leased two cars from there and my son also recently leased a car there. They treat you like family. My son got a flat tire earlier this week, and they were very attentive to his needs. They truly eased an overwhelming situation. Jeff goes above and beyond, and out of his way to provide the optimal customer service experience. When you're there, you can see how hard working he is, as well as all the others. Juan, Stephanie, Giovanni etc. truly an amazing group of people. I've bought two cars from Smithtown Acura. Brian Gore is a great salesmen, and gave me a great price straight away. No hassles, tricks, or negotiating. Service department is also top notch and a pleasant place to wait. Lee is the best part of going there. Shes knowledgeable and super helpful. Always a pleasure to see. Just like their cars she is awesome!!! Best car leasing experience EVER! We just leased a 2019 RDX. Smithtown Acura was the first stop on our car buying journey. After shopping around, we decided on Smithtown Acura for our lease. We love the RDX and all it has to offer, but the main reason we returned to this dealership was the positive initial experience we had with our salesman, Brian Gore. Brian is honest, straightforward and knowledgeable. He is also a kind and genuine person and was a pleasure to work with. We will be returning to lease another Acura from him as soon as my husband's lease is up and would gladly recommend him and Smithtown Acura to anyone. Thank you again! Great experience at Smithtown Acura, John Schepp is a great guy, made the transition from Infiniti to Acura very smooth. I am beyond pleased with my new car and the service I received from Smithtown Acura. We were leasing cars from other dealers. We were experiencing some issues in terms of deals what was promised to us. Greg and Brain helped us to get a better deal and the deal was as promised. We spent little time and it was a smooth transaction. Very smooth experience from start to finish with Anthony at Smithtown Acura. Great deal on a new RDX with no games, hassles, or gimmicks. Easy to see why Costco picked Smithtown as a partner for their auto program.